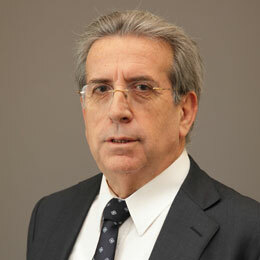 Panagiotis Behrakis is a Pulmonologist-Intensivist. Board certified in three specialties, Pulmonary Medicine, Internal Medicine, and Critical Care Medicine, Prof. Behrakis earned an MD from the School of Medicine of Athens University, and two PHDs, the first from the School of Medicine of Athens University and the second from McGill University-Department of Experimental Medicine. Prof. Behrakis is the Director of the Institute of Public Health of the American College of Greece, President of the Scientific Committee of European Network for Smoking and Tobacco Prevention, member of the Board of Regents of the American College of Chest Physicians (ACCP), founder of “George D. Behrakis RESEARCH LAB” of the Hellenic Cancer Society, investigator at the Biomedical Research Foundation of Athens Academy and focal point of WHO (World Health Organization) for Tobacco Control in Greece. Former Associate Professor of Respiratory Physiology at the University of Athens, former Adjunct Professor at Harvard University and former President of European Network for Smoking and Tobacco Prevention, Prof. Behrakis is considered an expert in tobacco control and prevention worldwide. During the past years, Prof. Behrakis has worked on national health communication and health promotion campaigns to curb smoking in Greece (Projects HEART I- HEART II and two ESPA grants) as well as Principal Investigator of 4 European Projects: EUREST, DIRECT, PRESICE and TOB-G. He has also been principal investigator in a number of other European research projects. Prof. Behrakis is author of more than 150 full scientific papers published in international journals, with 2500 citations.